The Karen National Union (KNU) demanded negotiations with the union government over the plan to resume the construction of a two-lane highway connecting Dawei Special Economic Zone (SEZ), which has been suspended during U Thein Sein Administration in 2013, and the Thai border. The KNU issued a statement on February 1 in response to the government’s announcement on December 2, 2017 over the plan to cooperate with Thai and Japanese governments to restart the project, which will cut through a pristine forest area in the Tanintharyi Hills under the KNU’s control. The KNU urged the union government to negotiate with them regarding the implementation of social-economic development in accordance with the provisions of the nationwide ceasefire agreement (NCA). It also called on the stakeholders to meet its four-point demand. According to the four-point demand, comprehensive environmental and social impact assessments (ESIA) must be conducted in accordance with the laws of the Union of Myanmar, and the Land and Forestry Policy of the KNU, and international standards in order to implement the project. Negotiations with stakeholders, including the KNU, must be conducted in advance to ensure sustainable development for local communities, revenue sharing between the union and state/regional governments, and the right for communities to participate. In the implementation of the project, the principle of Free, Prior and Informed Consent (FPIC) must be used. As per international standards, fair compensation and land provision for the loss of land and livelihoods must be finalized before any further steps. In addition, access for local communities to markets, and plans for environmental conservation programs developments must be conducted, according to the statement. The KNU also demanded them to design and construct the highway in a way that avoids or minimizes and mitigates impacts on the environment, including the area’s important forests, rivers and biodiversity, as well as, the Karen and other ethnic communities living in the area. “I can’t clearly see the KNU’s view in this statement. In my opinion, the KNU should give a clearer and vivid description of its position. For example, does it want the project to be implemented now or not? Does it agree to it or not? I think it will be better if they could have given such kind of description,” Naw Pi Ta Law, advisor of Tar Ka Paw youth group, told Karen News. Initiated in 2008, Dawei SEZ is located 20 km north of Dawei and spans 204.51 square kilometers on agricultural land. Naw Pi Ta Law stated that issues on land compensation and workers have arisen due to this project and advised the government and stakeholders to resolve these issues first if the project is to be resumed. 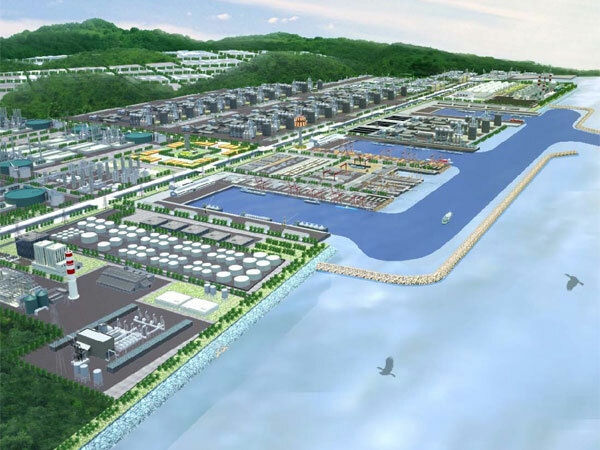 Myanmar government and Thailand’s Italian-Thai Development signed a concession agreement for the initial development phase to construct the infrastructures in the Dawei SEZ on August 5, 2015. The management committee’s chair U Han Sein told the media that project development tasks will be implemented up to 65 percent within three years on the seven-square-kilometer land in line with the agreement.